We love STRIPES!! They’re so coastal and a classic pattern. 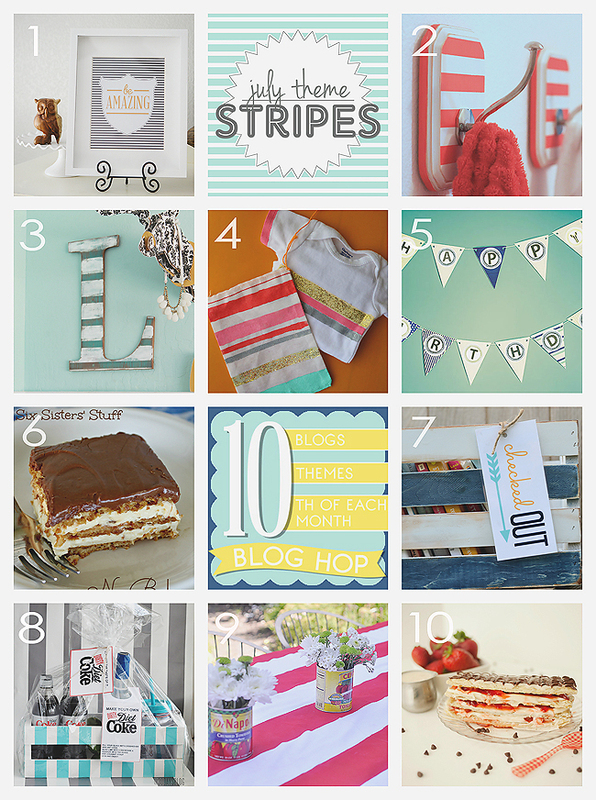 And since it’s the 10th already, we got our group back together for another blog hop for all things stripes! We know you’ll love all these cute crafts and yummy desserts as much as we do. Last month’s theme was MASON JARS and the month before we shared our CITRUS wreath! This month we kept with our home decor theme and are sharing how easy it is to make a striped monogram. 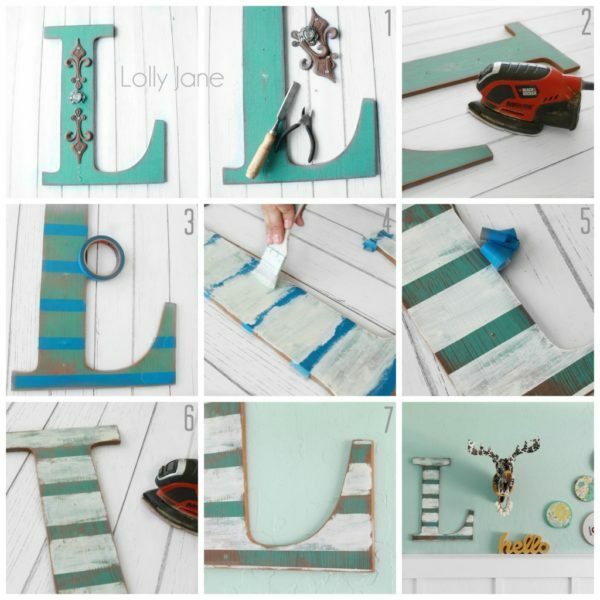 So check out all our buddies’ projects and recipes, pin this cute collage below for easy reference the read on for our distressed striped wall letter. Don’t forget to visit our pals links! Do you love stripes as much as we do?? 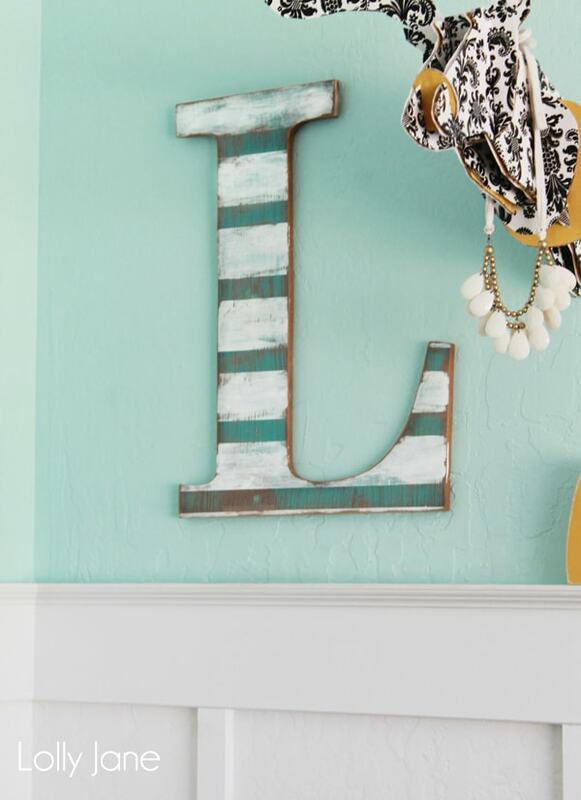 But for now, the focal wall is polished off with a distressed striped “L” letter (which stands for Lolly. Hmmm, who is Lolly, you wonder? Read about why we named our blog Lolly Jane.) So anyway, this space has sat empty for way too long (uh, my original goal was to complete it SIX months ago!) so when Kristi and I were doing a little shopping at HobLob over the weekend, we spied an oversized letter and knew it would fit the void space perfectly… which, it does. Although it fit the space perfectly, it was kinda hideous. (Who else can’t hear the word hideous without thinking of that State Farm commercial where the husband gets called out from the wife because she’s talking to “Jake from State Farm” at 3 am… major tangent but I chuckle every. single. time. I see that commercial! Ha!) Back to our Hobby Lobby purchase… instead of passing it up, we decided to pluck off the bling it came in, add some stripes and distress the crap out of it in true Lolly Jane style. Easy peasy! 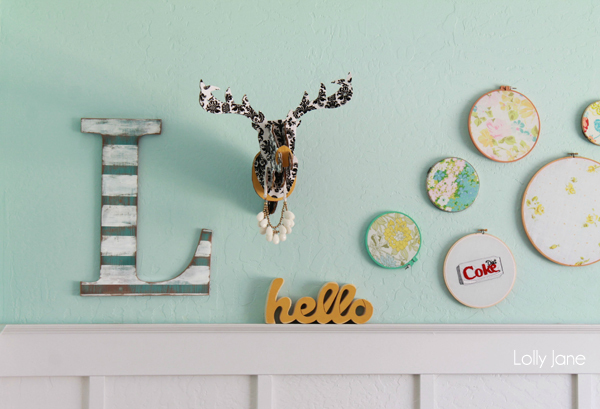 To transform your own, you’ll probably have everything on hand (besides the wall letter) like we did. From start to finish, this took less than 20 minutes to transform. Wanna see how? Remove funky hardware from letter. Sand off glue from hardware. Give the letter a light brush of white paint. Sand stripes to match distressed letter. To avoid crisp paint lines be sure to lightly sand over the entire letter as well as edges. Give it a quick seal and hang. Simple! So cute, girlfriends! 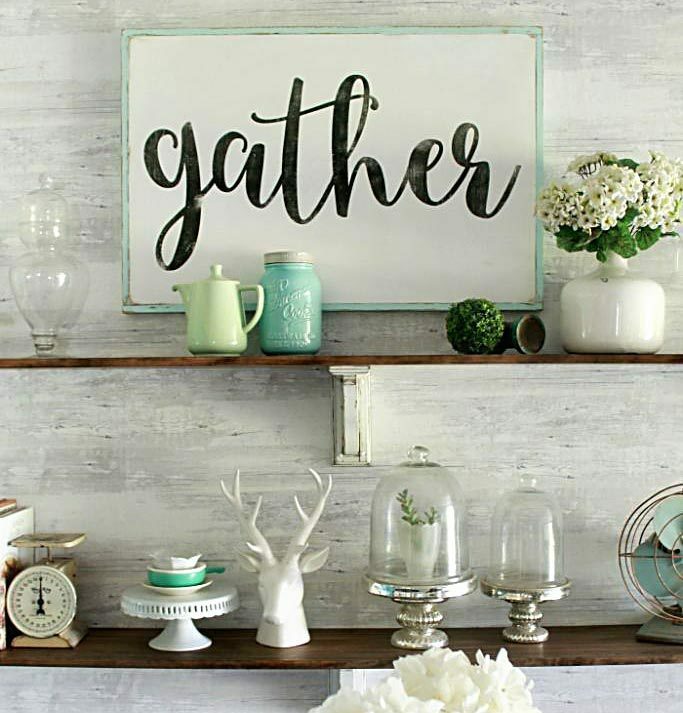 Such a simple, yet awesome decoration! Seriously- I just want to move into your houses. Not fair to have so many cute things in one (or 2 😉 spaces. Love this stripey letter. love all the projects of the other ladies too! very creative! Do you have a tutorial for the deer?